South Texas Health System is looking for exceptional people who share our values. 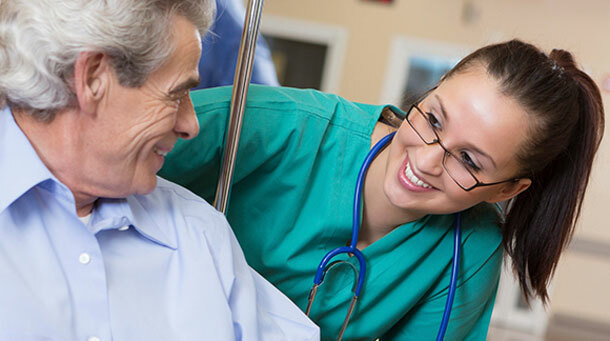 Learn more about the South Texas Health System and our opportunities for graduate and experienced nurses, how we invest in our employees, the quality of life in South Texas and more in our series of recruitment videos. South Texas Health System is recruiting for physician opportunities in a number of practice specialties. Please contact Samantha Barnett, Physician Recruiter, at 956-388-2218 or email her at Samantha.Barnett@uhsinc.com. South Texas Health System is owned and operated by a subsidiary of Universal Health Services, Inc. (UHS). UHS is one of the largest and most innovative healthcare management companies in the nation. Each employee at South System Health System takes part in the UHS Service Excellence Program. The program is guided by three standards: "Treat everyone as a guest. Demonstrate professionalism and excellence in the things I do. Practice teamwork."